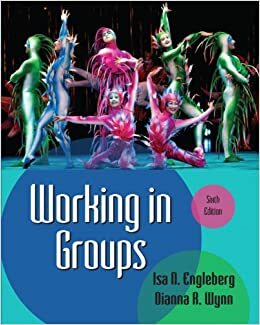 You will work your tribe to prepare and present one chapter (see class schedule for chapter assignment) from the class text (Engleberg) along with outside resources andcurrent events associated with content in your chapter. Chapter presentations should be rehearsed to ensure the highest quality performance. Presentations should be engaging, well coordinated and not only reflect your comprehension of the chapter content but also stimulate discussion among the class. All tribe members must be present for your tribe’s presentation, speak during the presentation* and play an integral role in the coordination of the presentation. Start by introducing your group and each group member. Briefly review the key concepts covered in the chapter in no more than ten minutes. The instructor will time your presentation and may deduct points if you go over ten minutes (any time spent on class discussion during the presentation will not count toward the ten minutes). Remember, your classmates have read the text so there is no need to reiterate everything word for word. A high level of public speaking skills and understanding of course content should be evident during this presentation. It is essential that your group rehearses this presentation; note cards MAY NOT be read and the PowerPoint MAY NOT be referenced. Be sure to follow the 6 X 6 rule, use only key points and make your slides visually appealing. Present key points (be sure to use visual aids) from on 2-3 of outside resources or current events that relate to some aspect of your chapter. You can present this using any visual aid you choose. The key to your tribe’s presentation is to give the class an opportunity to discuss and make meaning of the chapter content and the current event information. You will prepare engaging, open-ended questions for your classmates to respond to; questions might include asking about classmates’ opinions, past experiences, application to other settings (e.g. workplace, family or friend relationships, etc.). The following website has some good information/resources about creating good questions http://www.edb.utexas.edu/minliu/pbl/TIPS/question.html and provide a good starting point. Your discussion can include pairing students up to discuss, asking them to discuss questions within a small group, having a full class discussion, etc. YOU DESIGN IT. A note about presentation order: It is imperative that all requirements of your presentation are covered within 45 minutes. However, all aspects do not have to take place in the order listed above. If you use a different order, you must post an agenda for the class. Indeed, it is advisable to keep your audience engaged by weaving in discussion throughout your presentation. Submit 5-7 open ended questions that cover key points of both your chapter and outside resources for possible inclusion on the exam.